Organic farming makes use of all the best practices that are available in this day of modern technology; these include traditional farming practices that make use of the natural ways of growing food. In organic farming, farmers are dissuaded from using chemical pesticides as well as synthetic fertilizers that are water soluble; they can make use of only natural pesticides (that are completely free from chemicals) as well as fertilizers that are completely natural. Plants, especially those meant for consumption, require pesticides and fertilizers for their growth and quality, and while organic farming recognizes this, it also rationalizes the use of only natural products for growing food plants. What are the Methods used in Organic Farming? Farmers who use organic farming for growing food combine centuries old farming practices with scientific knowledge and modern technology to produce food that is all-natural in its composition. The four main things that are used for organic farming are mechanical cultivation, green manures and compost, crop rotation ad natural pest control. It wouldn’t be wrong to say that organic farming relies heavily on the unrefined and agrestal means that take longer time to complete since they involve the all-natural approach. An important feature of organic farming that helps with maintenance of ecology is crop diversity that involves growing different varieties of crops in the same place. This method helps sustain different species of benign and useful insects, naturally occurring microorganisms found in the soil as well as other components that are beneficial for the complete health and growth of the plant. One can grow plants in as compact a place as a container; all you have to keep in mind is that most organic plants need at least 6 hours of sunlight. In cites, this provides an easy solution to avoiding the expensive organic produce available in the markets. 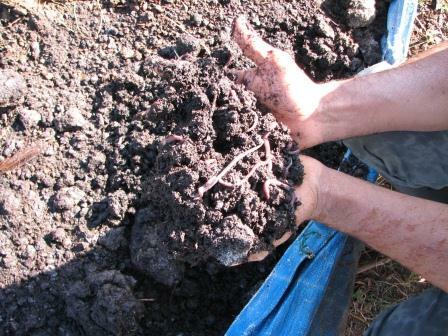 The health of the soil is integral to the health of the plant you are growing. It must be ensured that the soil is frequently treated with manure, and organic matter such as vegetable waste, leaves etc. The soil must be regularly turned to allow aeration. It’s a good practice to test the soil for common toxic materials like lead before you start out. Choose your seeds according to the seasons that would support their growth. Plants like that of tomato, grow better in warm temperature while leafy greens require lesser sunlight per day. Now all you need to work the magic are the handy tools from your basic gardening kit – the spade, garden fork and the trowel.